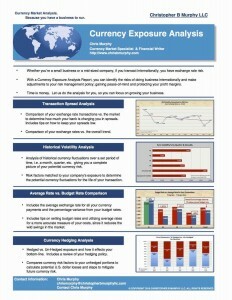 The currency exposure and risk analysis is a detailed report highlighting the risks associated with foreign currency exposure tailored to a specific company’s payment schedule. By utilizing risk analysis as a content marketing tool, Banks and FX providers can offer a tangible value-proposition to a prospective client and increase the odds of a face-to-face meeting. 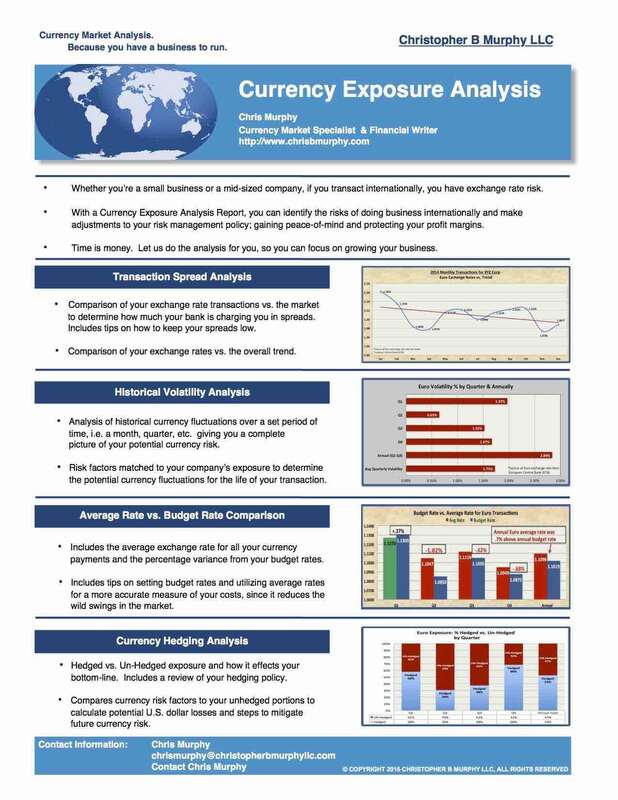 For companies, a risk analysis can help boost profit margins by identifying global risks so that adjustments can be made to your internal policies and subsequently reduce exchange rate costs. For banks, instead of leaving voicemails to prospects, where you tell them you offer a risk management advisory service, why not show them your capabilities and send them a marketing sheet highlighting a free risk analysis. 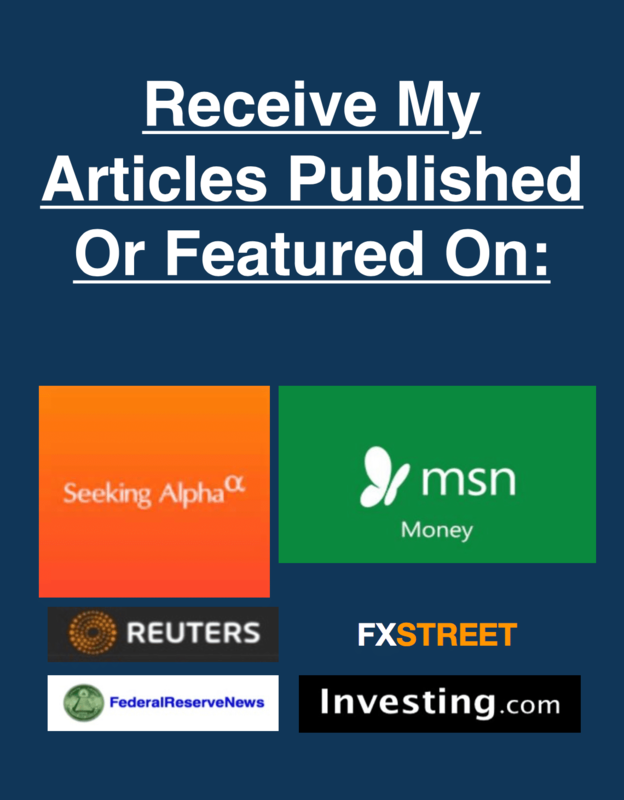 Prospects will be more likely to meet with you, since they’ll be confident that you’re an expert FX advisor that’s capable of helping their business save money. Please click the link: Contact Chris Murphy to get your tailored report for your company or for one of your clients.